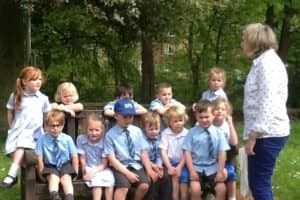 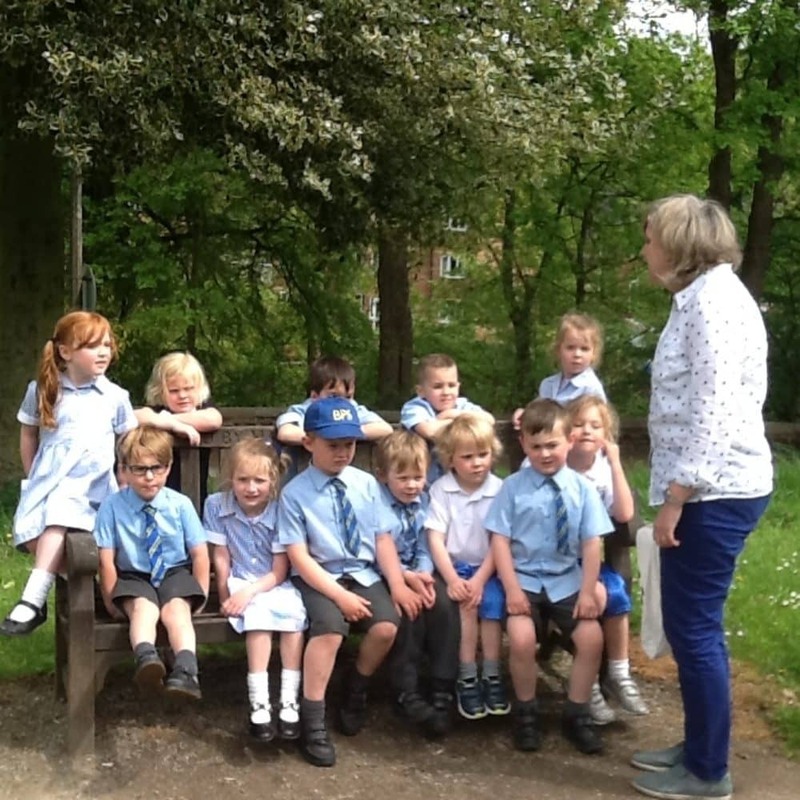 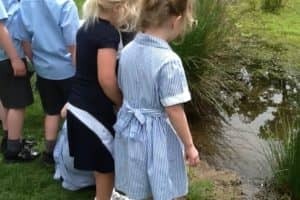 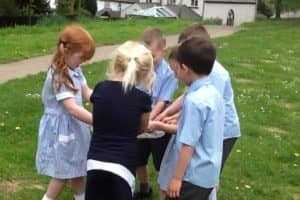 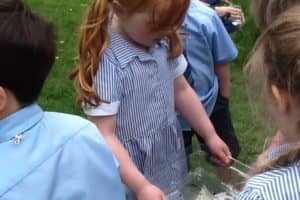 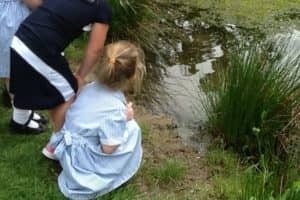 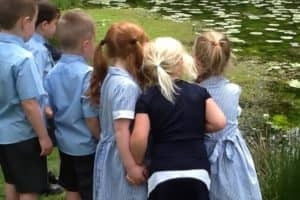 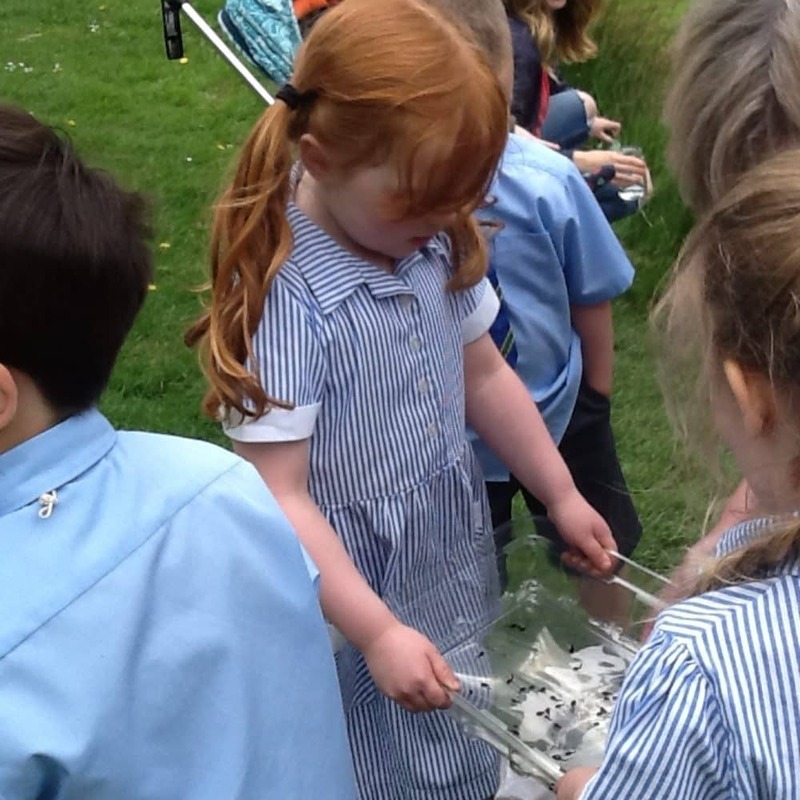 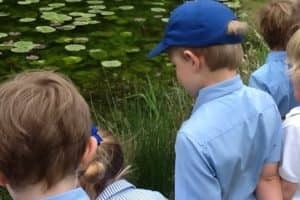 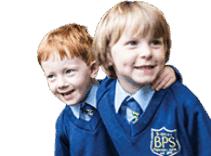 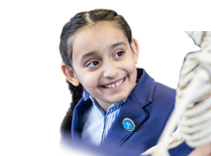 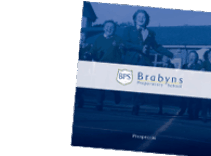 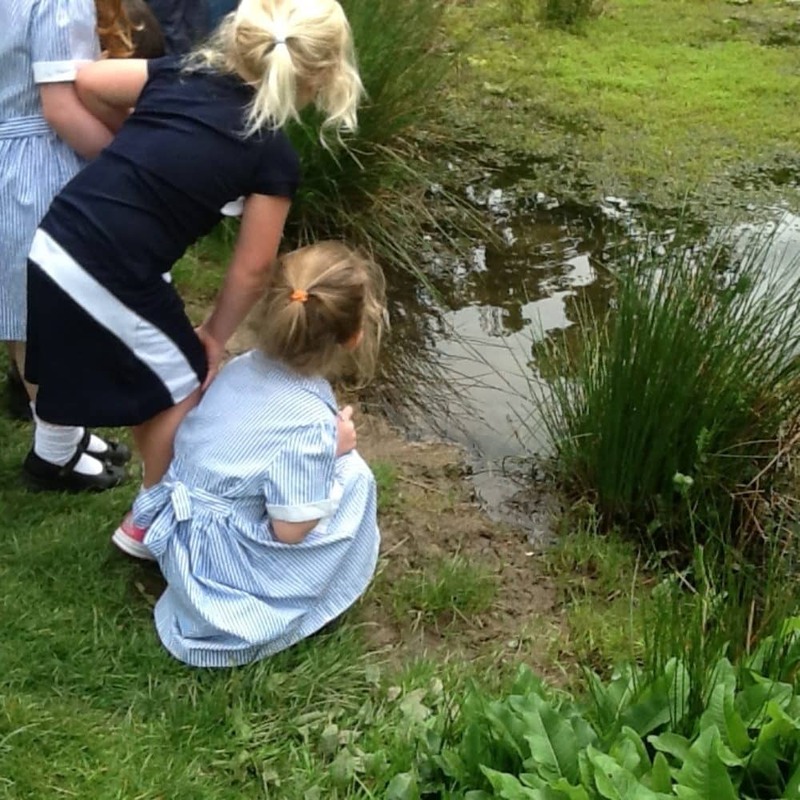 As part of the Knowledge and Understanding the World curriculum the children have to make observations of living things and explain why things happen. 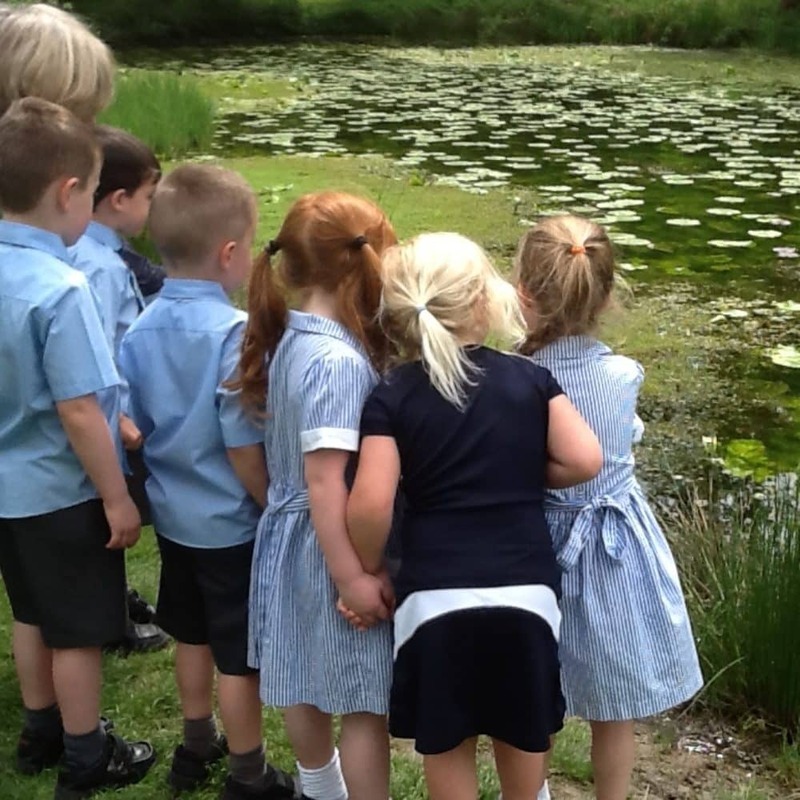 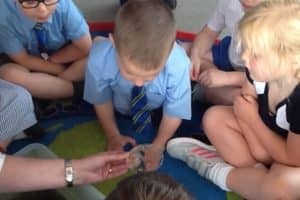 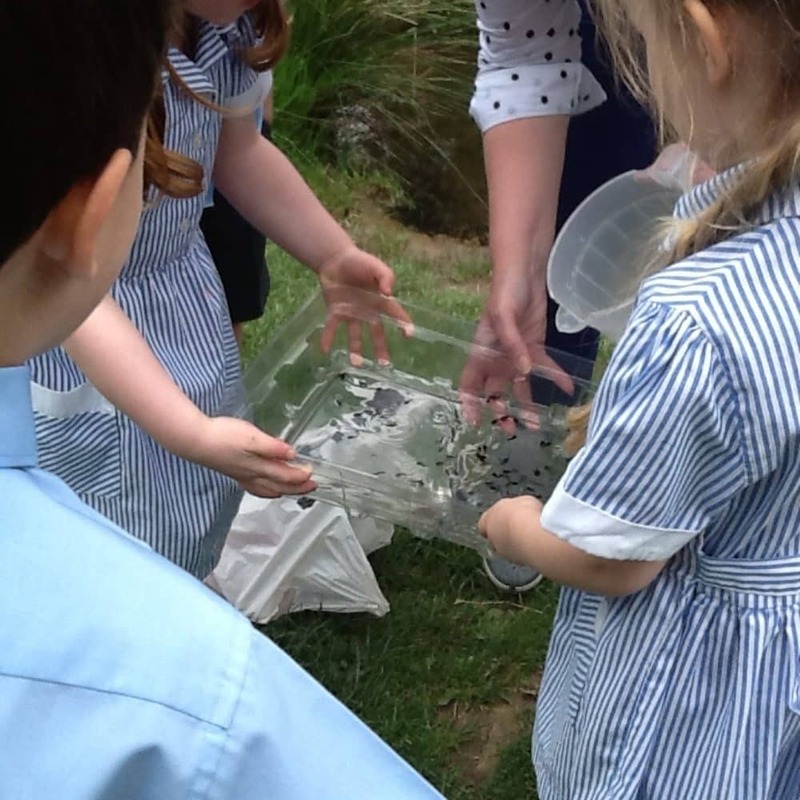 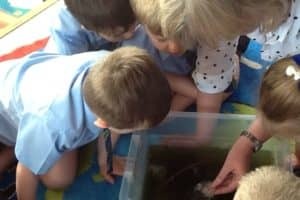 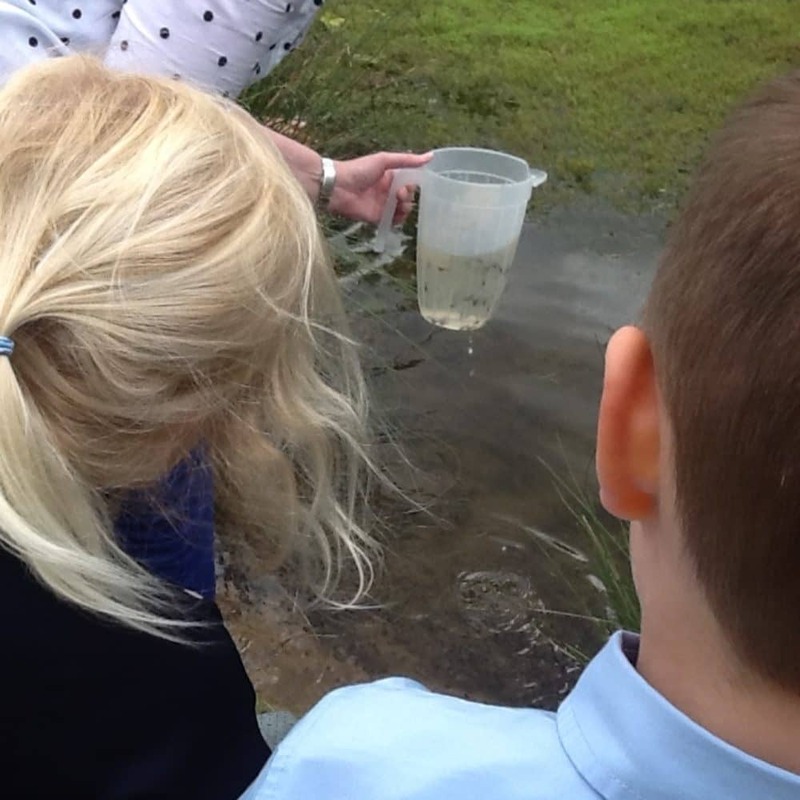 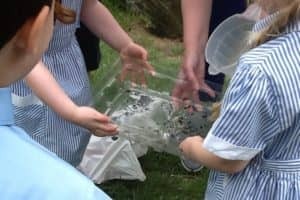 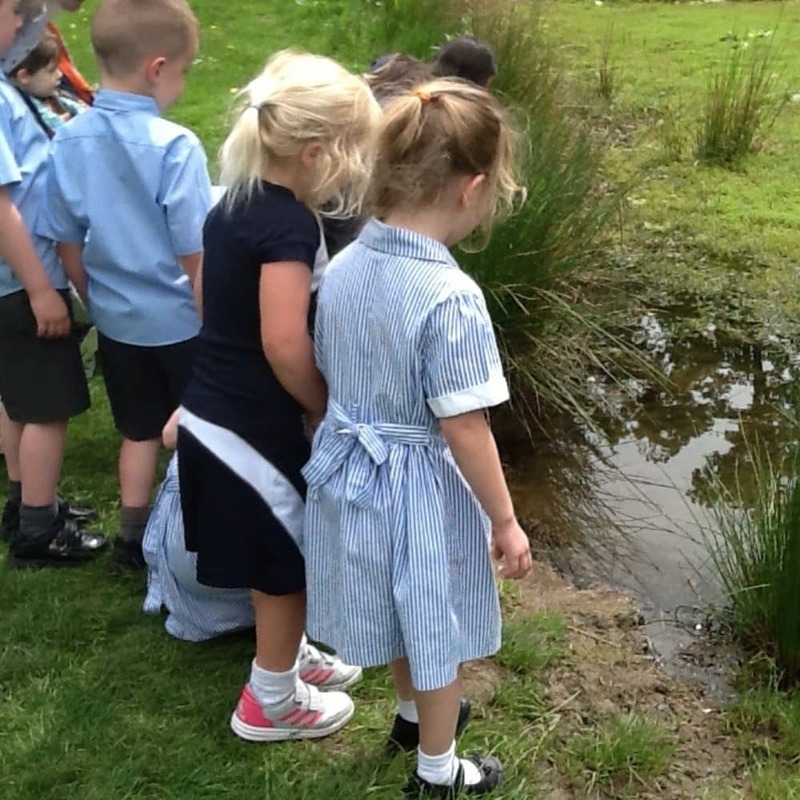 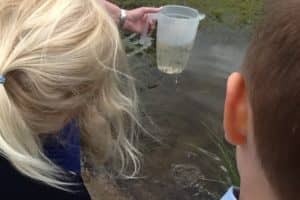 We had great fun collecting tadpoles at Brabyns Park and brought them back to our classroom to look after. 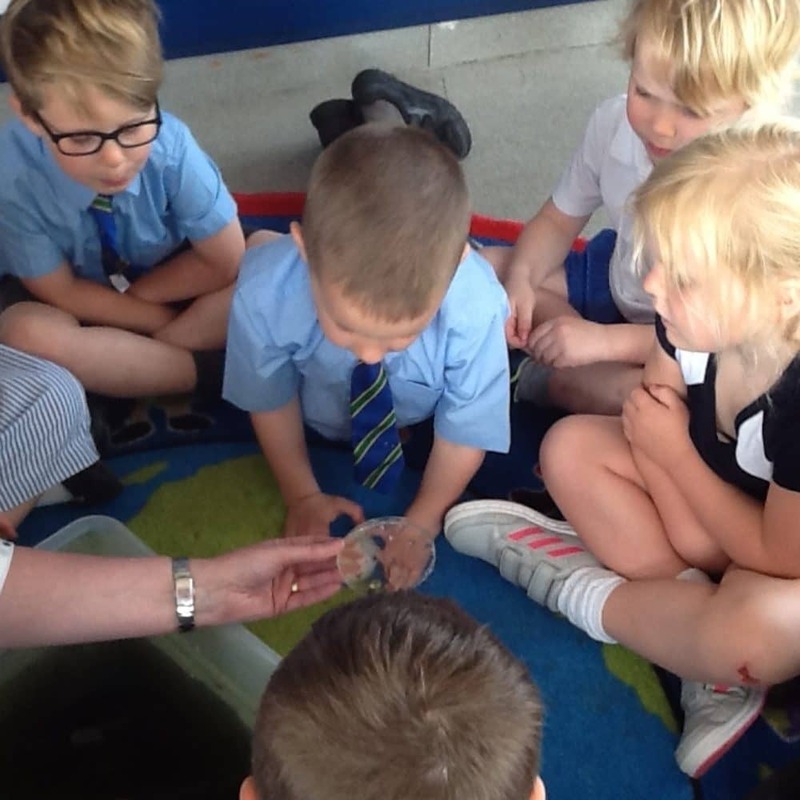 The children have been fascinated watching them in the tank and learning about what to feed them. 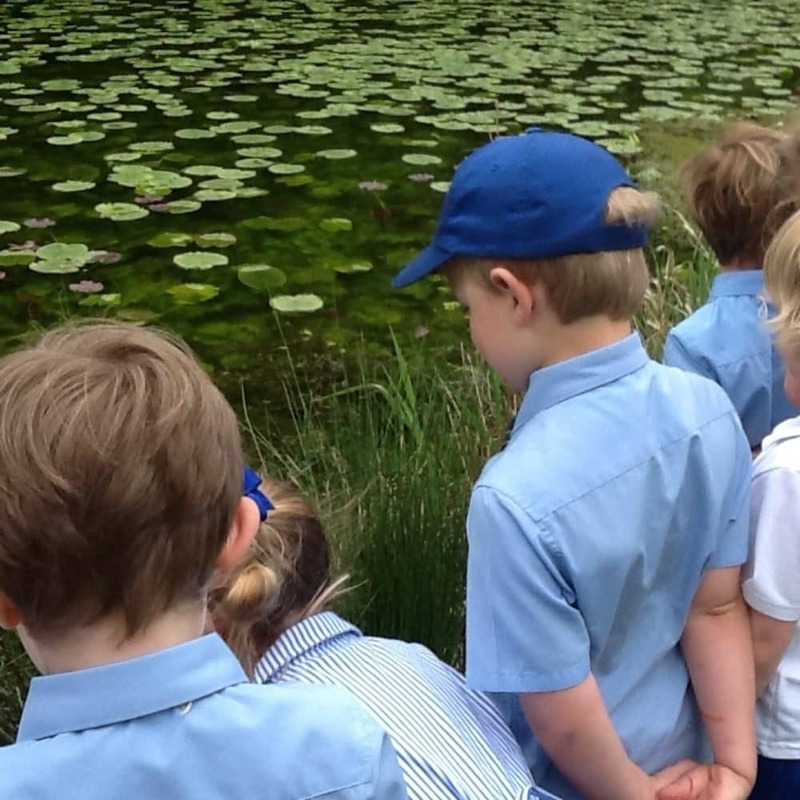 Did you know that tadpoles eat pea soup?! 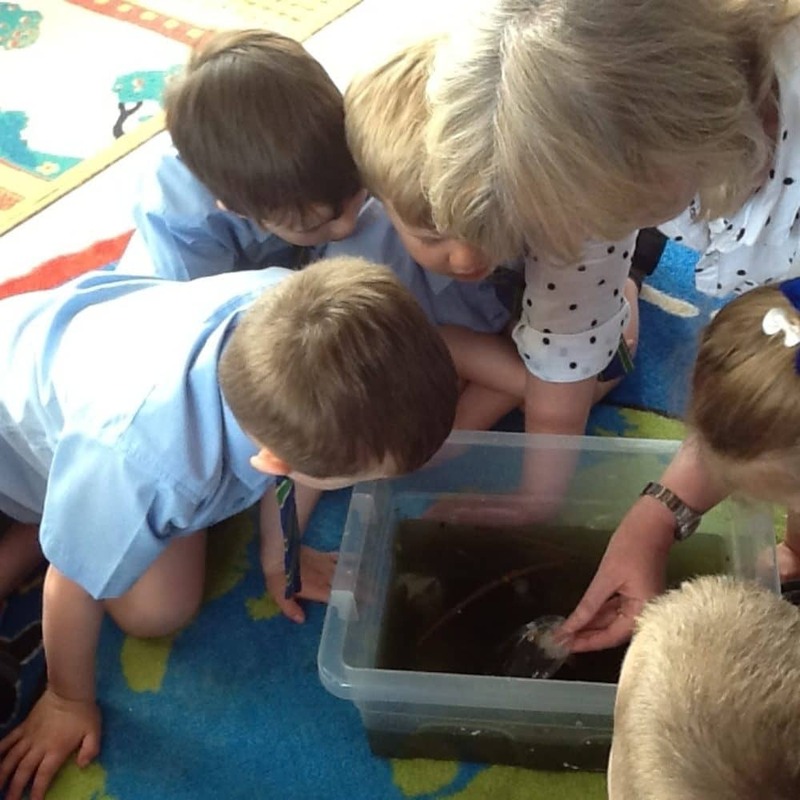 We have been working on lifecycles and hope that we will be able to watch our tadpoles grow into frogs; perhaps we will need a bigger tank!